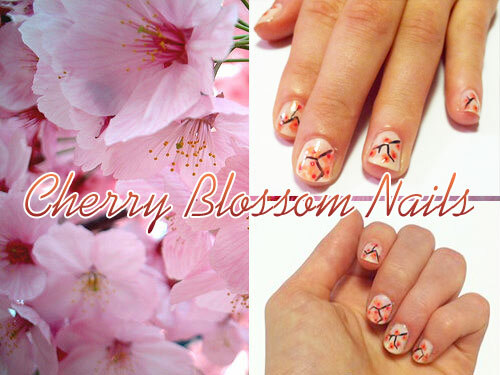 A cherry blossom nail art tutorial. 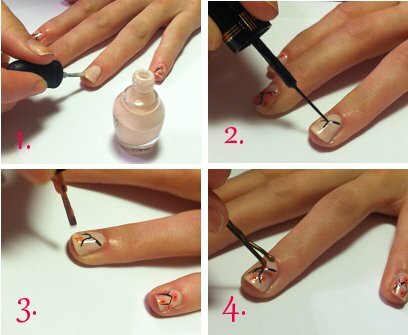 Learn how to do cherry blossom nails with our step-by-step manicure tutorial. Here in D.C., we’re in the middle of the 100th Annual Cherry Blossom Festival, and I can’t imagine anything more beautiful than the National Mall covered in pink blooms. It is absolutely magical. So, naturally, I couldn’t help but try and translate the incredible scene into nail art – and it was surprisingly easy! With just a few polishes and some sneaky techniques, you can turn your nails into mini cherry blossom trees. Here’s how! This nail art looks complex, but it’s actually simpler than many of my past nail art tutorials – give it a shot and you’ll see! 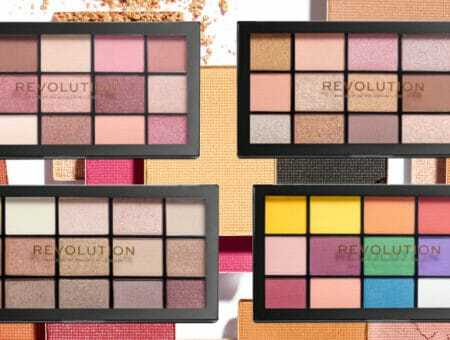 3 shades of pink – one very pale, one medium and one darker. I used Sephora by OPI Nail Colour in “Dear Diary…” and “How Cute Is That?” and Chanel Le Vernis Nail Colour in “Splendeur” (which has unfortunately been discontinued, but “Rose Exuberante” is similar). After applying a base coat, cover your entire nail with the lightest pink shade. Make sure it’s opaque – you may need to do multiple coats. Let this dry completely. 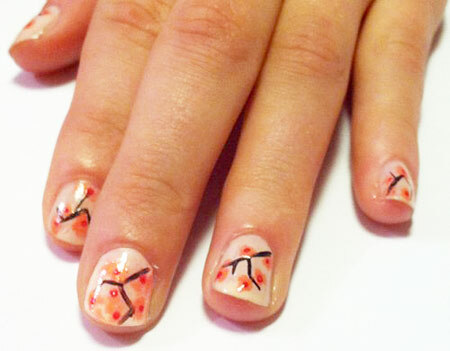 With your black polish, paint jagged lines on your nail to make the branches of the cherry blossom tree. These should be somewhat random, and it’s better if each nail doesn’t look exactly the same! My black polish has a thin nail art brush, but if you don’t have one with a thin brush, you can also use an old eyeliner brush or a toothpick and achieve the same effect. Once the branches have dried, it’s time to make the blossoms. Take the medium pink, wipe the brush on the rim of the bottle so there is minimal polish on it, and then blot the tip of the brush (almost as if you were sponging the polish on) around the branches to make imperfect circles. It’s okay if they bleed into each other a bit; you want it to look like the branch is full of blooms. When you’re finished with the flowers, take a bobby pin and dab a tiny bit of the darkest pink on the head. Then dot it in the center of each blossom. Repeat this step until every blossom has a pink dot in the center. All finished! Allow your nails to dry thoroughly and then put on a top coat to preserve your blooms. When I set out to do this, I envisioned a very literal interpretation – I wanted there to be no question that the things on my nails were cherry blossoms. I thought that would make the task more difficult, but then I realized nothing about this has to be precise; there is no exact template to follow, the shapes can very and the blossoms don’t have to be perfect, which made it much easier. Overall, the process was surprisingly quick (it only took me about half an hour) and the payoff was huge. Due to their muted colors, my nails turned out to be surprisingly understated and easy to pull off. I also worried that they would look too much like these because I used a similar technique and color palette, but they ended up looking totally different. All in all, they’re pretty, festive and fun to make! Would you try out cherry blossom nails? Have you ever been to the Cherry Blossom Festival yourself? Is there a similar event that inspires you? 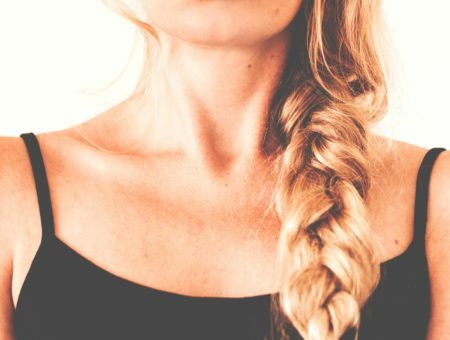 Tell me what you think in the comment section below!